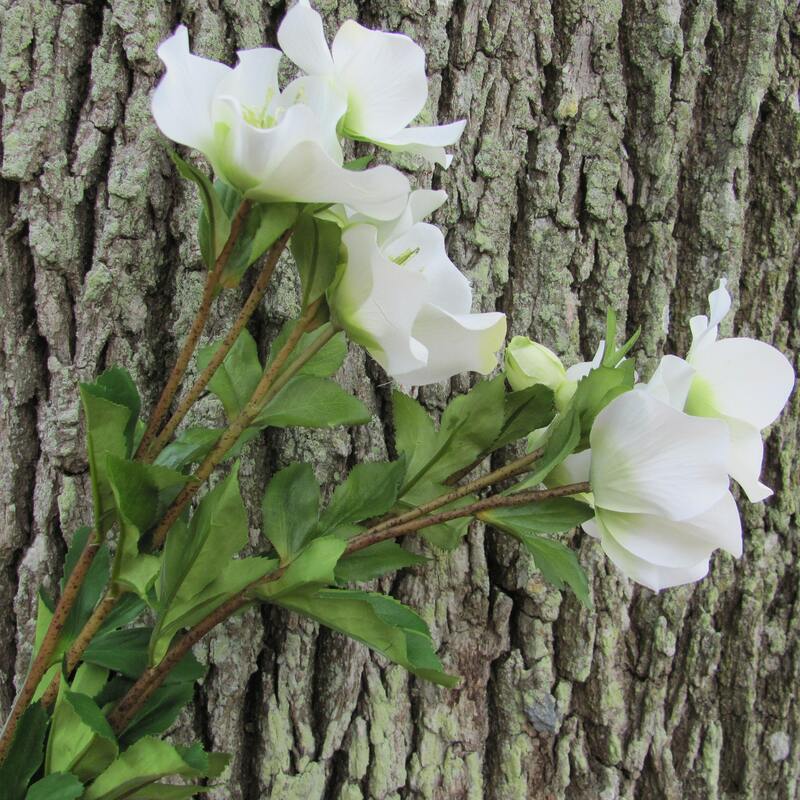 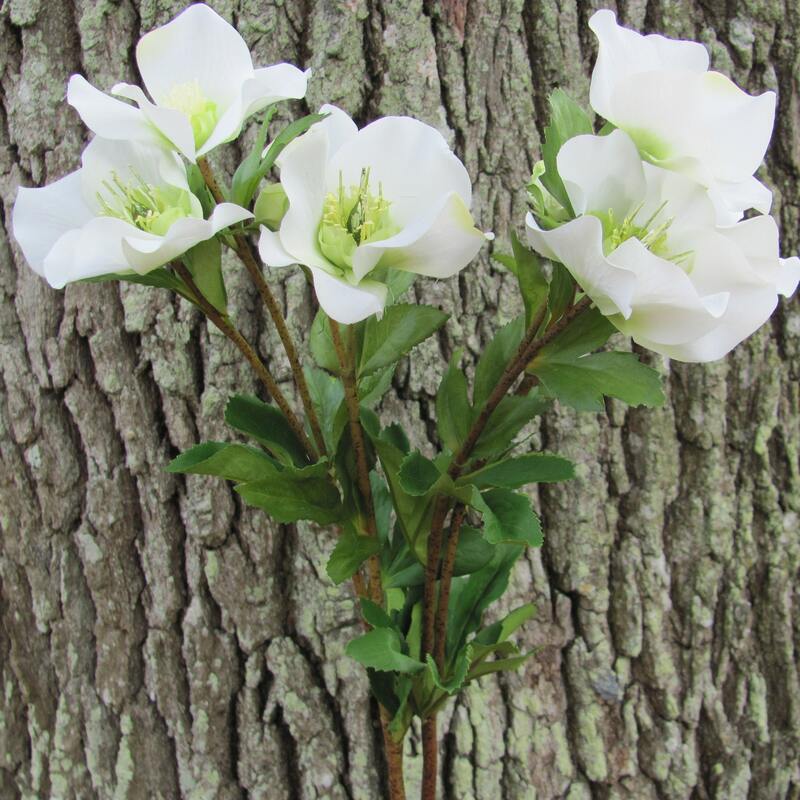 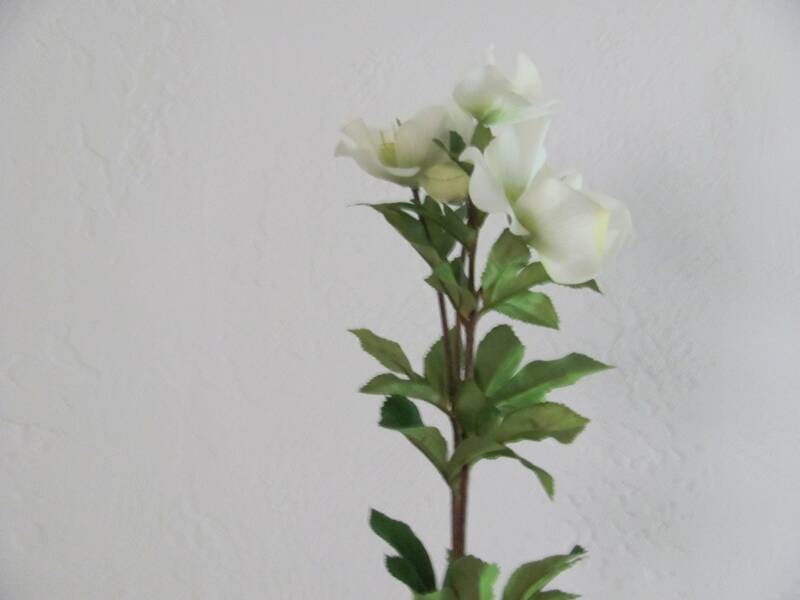 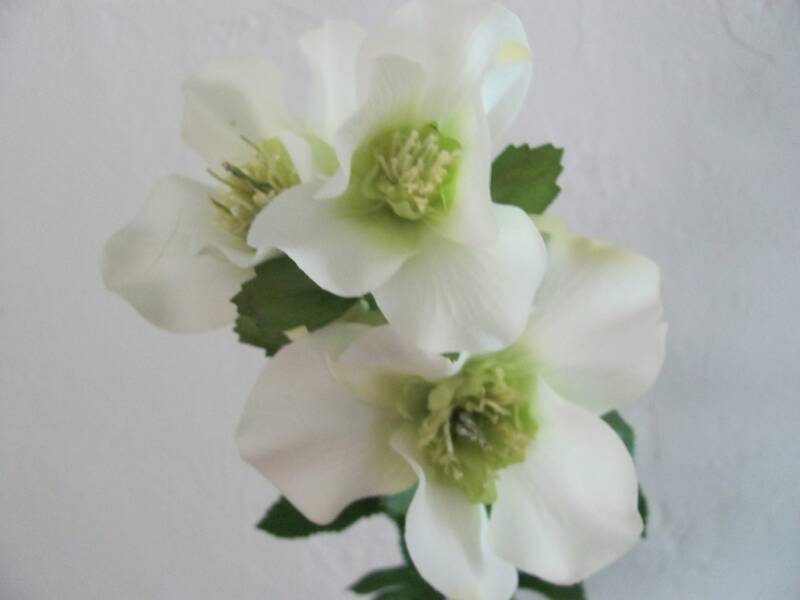 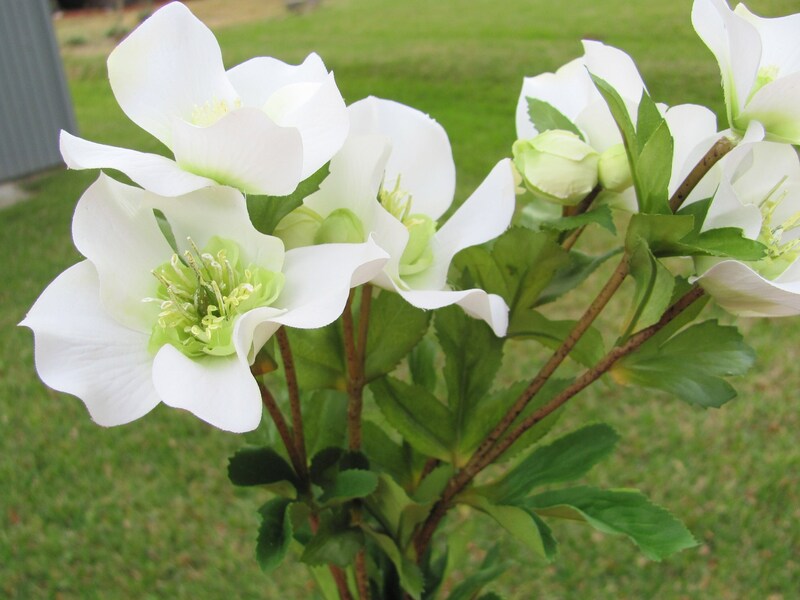 2 white Helleborus real touch floral stems with 3 flowers on each stem . 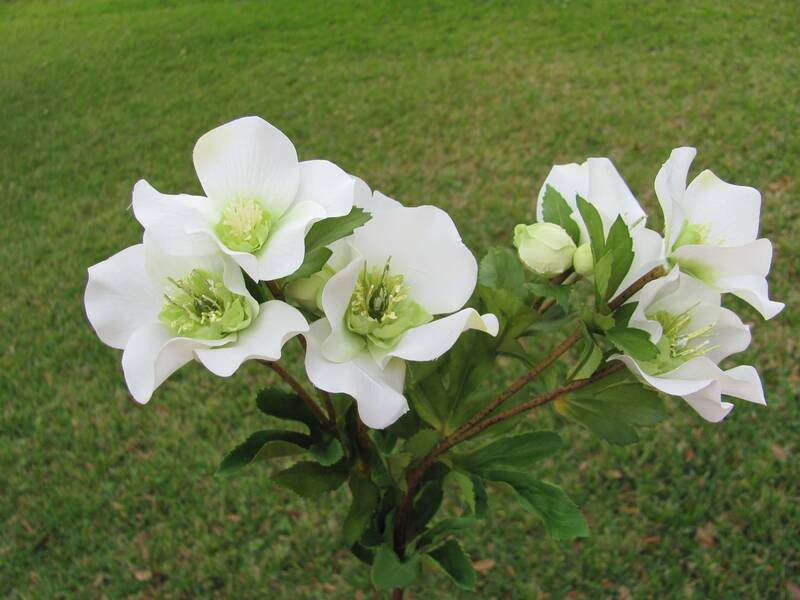 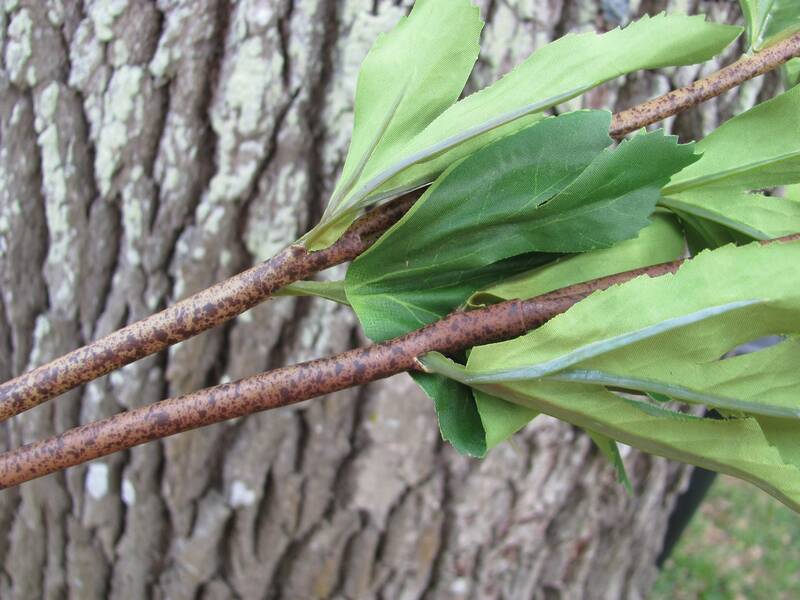 These faux flowers are ideal and trendy in bridal bouquets, reception centerpieces and floral arrangements. 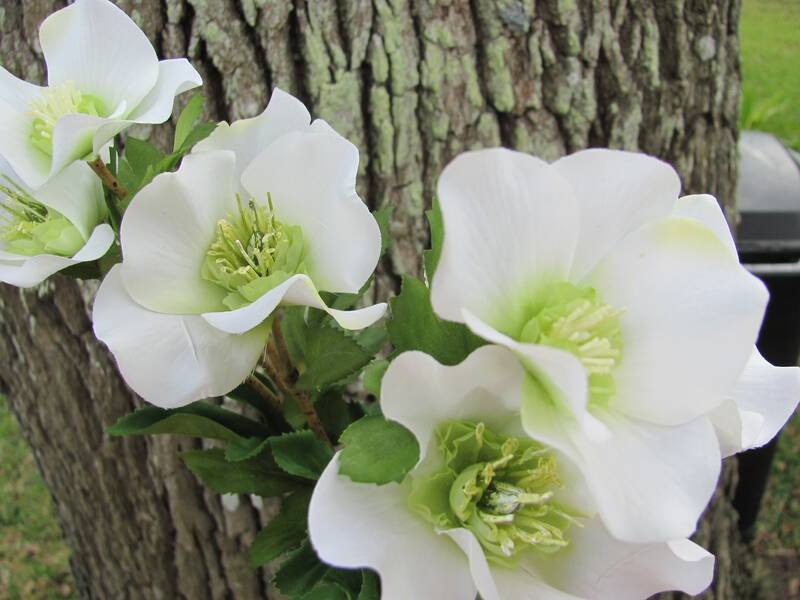 As as beautiful member of the ranunculus family, this helleborus stem proves that evergreen perennials are the best way to brighten up the scene. 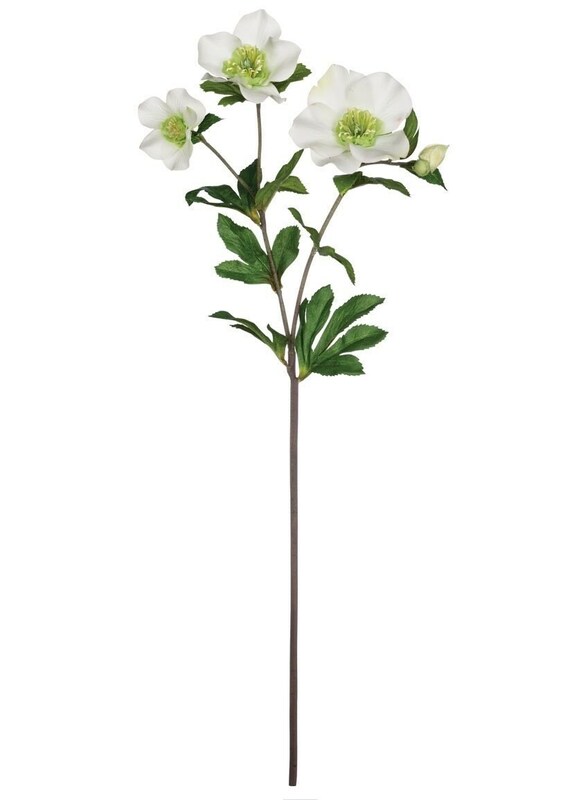 Boasting vivid colors and amazing attention to detail, this polyester favorite from Winwood Select luxurious, life like Winward Select stem even feels real!